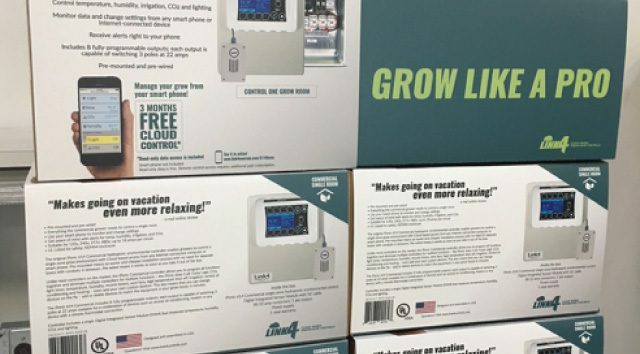 Six months nearly to the day as I write this, I began the task of developing a new brand for Link 4, a farm tech company that uses greenhouse sensors to track environmental data. This data is used by greenhouse growers of everything from blueberries to marijuana to flowers. Interestingly, the tech is also used to grow food indoors in cold weather climates such as Alaska. For Link 4, I developed a new brand, colors, logo, tagline and as you see here: packaging design for several of their most popular items. As you can see, these are retail boxes being shipped to a new distributor on North Hollywood. Be Interesting: So many companies want more press than they deserve. The fact is, many businesses simply are not interesting enough to warrant attention from journalists. After all, the press is trying to serve readers with compelling content – we can’t be boring here. My advice is to look hard at what is truly compelling about your company and don’t use PR simply as a means to sell more product. Google Alerts: Forget costly clippings services to measure your press reach. A free Google Alert account is all you need. With Google Alerts, you receive an email every time your company is mentioned on the web along with a link to the article. Easy. Tell great stories: Journalists didn’t learn their craft so they can pitch your products and services to readers. Respect the fact that journalist are amazing storytellers. Be honest and open when sharing your story. Don’t be too self promotional. Don’t be afraid of admitting your flaws – every business has them. By doing this, you will find that journalist have a great respect for your business and will be more likely to write about you. Produced with Chicklabs at Chapman University, IMMUNO GUM’s video recently hit 375,000 views on Youtube and is adding nearly a thousand views per day. The video was shot with hidden cameras and features two students offering samples of IMMUNO GUM® in exchange for a kiss. And as with any situation that tests social norms and pushes people’s boundaries, the reactions were priceless. February 17, 2017 by David with Comments Off on What are the biggest challenges website designers face today? I recently typed-up my responses to this interview on new challenges facing website designers. I wanted to post it here, as well. 1. What are the biggest challenges website designers face today? David Reeve: For small businesses, world market freelancers and DIY website-building technology has lowered the costs, lowered expectations and increased competition; quality construction, artistic integrity and lifetime support of a new website is rarely valued in this scenario. Larger corporations and digitally-savvy companies are more likely to buck this trend. 2. Which tools and/or strategies have you implemented in the past 12 months to best overcome these challenges? DR: I overcome the challenge by bundling the website with other complimentary services. No, not just the obligatory SEO and pay-per-click but instead I offer content marketing, public relations, branding, plus investment and marketing strategy. This ensures that the website is a hub for a company’s marketing activities and business development goals. 3. What part of a website’s design do you feel is the most important for an enterprise’s success (e.g. navigation, font, call-to-actions, images, etc. ), and why? DR: Writing is most important, second to intuitive navigation. Companies often have a hard time explaining (with brevity) what they sell and how to buy it. Writing needs to be clear and free of jargon and ambiguity. 4. How do you spot a design trend from a design dud? DR: A design dud opts for spectacle over simplicity. The duds tend to jam up browsers while they load their fancy videos and artwork while users search desperately for a menu nav. 5. Which website design trend would you like to see die, and why? DR: Parallax design in WordPress. I’ve rarely find it attractive, the frame size is too flexible creating unexpected results. It’s become a cliche among WordPress designers. 6. How do you find a balance between equipping a website with all of the latest bells and whistles, yet not compromising its performance (i.e. speed)? DR: All things in reasonable quantities. A good speed is a reasonable goal and your quality customers will wait an extra millisecond if they truly intend to spend money with you. Page load-bouncers were only window-shopping anyways. 7. What is your favorite design or development tool and why? DR: WordPress and Adobe. I use mainstream, reliable tools so that my customers don’t feel my methods are niche or non-repeatable. 8. What can a client do to make your job as a designer easier? DR: My ideal customer will collaborate, invest is using the website – not just building it, be responsible for providing content as needed, and read their analytics reports once in a while. David Reeve is a freelance marketer, designer, and public relations consultant. I do a lot of ghost writing, which isn’t as mysterious as it sounds. Busy executives don’t always have the time to write their ideas into published articles for one reason or another. I’m able to collaborate with the executive and extrapolate their ideas and opinions and write in a voice similar to their own. Here’s an example of an article I did for EConsultancy in the UK. This was a very popular article, even getting some generous support from the almighty Google Analytics on their Twitter and Google + page – a great compliment indeed. Often, a business’ perception of its customer is very different than the customer’s actual behavior. Fortunately, analytics can support or challenge your perceptions and help you build a profile of the customers that you attract. Time of day: Do your users peak at certain times of day? What’s triggering this behavior? Perhaps you’re seeing spikes of spam bot traffic hitting your site and generating false positives about your foreign audience. 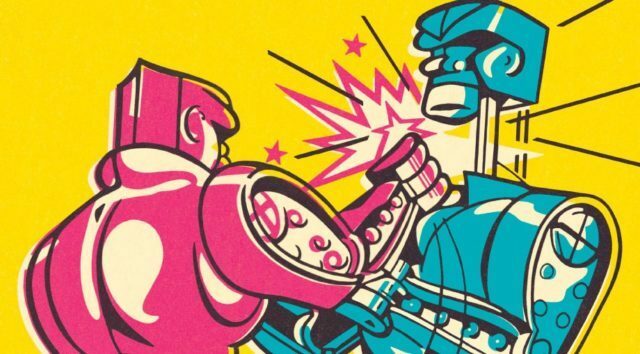 High levels of traffic from Netherlands, Ghana, China, Russia and other faraway lands coupled with high bounce rates are likely an indication of bots hitting your site or gaming your analytics code to appear as a visitor, even if they’ve never been to your site. August 17, 2016 by David with Comments Off on What is the key to getting a good press photo? Good PR often depends on your ability to regulate your image to the outside world. A fundamental of this effort is to get a simple press photo. “Each key executive at your company should have three press photos,” says David Reeve of EIM Marketing & Public Relations. Each of the three images should serve a different audience and format, he adds. An executive photo session can range in price from several hundred dollars to several thousand, but it’s not always necessary to pay top dollar. Search Craigslist for affordable photographers. This year I will serve as a judge at the California Dreamin’ Entrepreneurship Business Model Competition, which will take place on April 22 and 23 at Chapman University. As an active supporter of the University’s Leatherby Center for Entrepreneurship and alumni at Chapman University, I am both honored and thrilled to provide feedback and take part in this event. Invitations have been extended to other schools to send their best teams in order to participate. These schools have the flexibility to send whomever they would like to, so long as they send a team who are either current students or have graduated within the current academic year at the university. These student teams will compete in real-world-simulated processes of starting a business and seeking start-up funding, while receiving feedback from the judges to better help them reach their goals. The Competition allows these teams to compete against their peers in hopes to win prize money, become eligible for equity investment, and to have the opportunity to get Angels, Venture Capitalists, and other investors interested in their business. 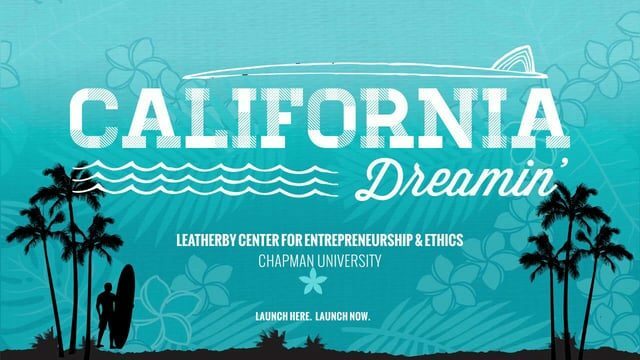 For more information, visit https://www.chapman.edu/research-and-institutions/leatherby-center/business-plan-competitions/Cali-dreaming-business-plan-competition/. You may be hearing about Prezi, a relatively new tool for creating presentations. Prezi was created in 2009 and claims to have 50 million global users producing 160 million Prezi’s. Though PowerPoint remains the go-to application for creating presentations, Prezi has some benefits worth exploring. Here are my thoughts on the pros, cons, and a few tips on when to choose Prezi over PowerPoint. Prezi is for storytellers. It is similar to PowerPoint, but Prezi adds a visual “wow” factor that improves on PowerPoint’s sleepy reputation. In Prezi, designers are not limited by slides. Prezi has no borders. Designers can zoom in or out and fly through infinite outer space. Instead of pages, Prezi designers create frames around content, grouping words and images and assigning them an order. The format allows designers to manipulate the frame to enhance the story, often providing a cinematic style. Designers can span large frames of content or zoom in to reveal more detail. For example, a Park Ranger is giving a Prezi on a new hiking trail at a national park. The trail extends miles of twisting, turning terrain as it snakes around and up to the peak of a tall mountain. Exploring this trail is an ideal use for Prezi. The Park Ranger may begin the Prezi at the trailhead with frame one, a photo of the trailhead. With each progressive frame, the audience moves forward on the trail, darting left, then moving up to the right as the trail ascends the mountain. Along the way we stop to zoom in on images of exotic plants and pan wide landscape photos of the impressive views from a scenic ledge. Frames move up as we near the top of the mountain, and down as we return to the trailhead. While the presentation is slick, designers will find new challenges in working in this medium as it is without structure. Whereas PowerPoint greets you with a blank slide – Prezi has nothing but empty space. You are truly creating from scratch and it can be intimidating. When I design a Prezi, I will create it on my desktop Prezi application and then make it available via Prezi’s cloud. Sales reps, for example, can share a common login and access the Prezi with an Internet connection. Prezi offers many templates for telling your story, but I always prefer the blank slate as a clean canvas. Templates are widely used and the content just doesn’t look all that unique. Save your work often. I still find bugs in the young desktop version. Prezi’s shape and image library is slim. Incorporate Adobe Illustrator or Photoshop to add great artwork and images. Prezi has an awesome application for doing Google image searching in-app, then adding them to your Prezi. No more dragging and dropping. Certainly many copyright issues with adding content found on the web, but the app sure is covenant. Prezi takes about 5-10 hours to learn. Expertise comes with practice and knowledge of visual composition and storytelling.